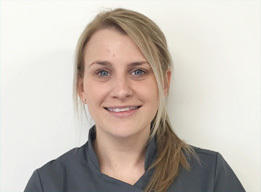 Louise qualified in 2011 from Portsmouth Dental Academy with a BSc (Hons) in Dental Hygiene and Dental Therapy. Prior to this Louise had been a qualified Dental Nurse within our practices since leaving school. Louise returned part-time in 2011 and works in both practices.